Important dates and special events for 2008. Take a close look, there are some wonderful activities going to happen! April 12-13 –Taoist Medicine with Nam Singh. June 5-11 –South France retreat with Dan Winter. Ibn 'Arabi's major book, Fusus al-hikam (Bezels of Wisdom or Wisdom of the Prophets) gives one of the most comprehensive overview of human potential. Stephen Hirtenstein will be supplementing this with extracts from other writings. He is presenting fresh translations not yet published at our New York City three-day workshop. Guest teacher from the UK, Stephen Hirtenstein’s workshop will include meditations, chanting the names of God, and lectures on the nature of our belief systems and many more topics. 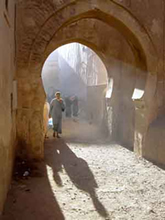 "I have spent over 35 years researching and lecturing on the works of Ibn 'Arabi and his school. After graduating from Cambridge in History, I studied at the Beshara School of Intensive Esoteric Education in Scotland, and have been Editor of the Journal of the Muhyiddin Ibn 'Arabi Society since 1982. In addition to running a publishing company dedicated to the work of Ibn 'Arabi, I am author of The Unlimited Mercifier (1999), a spiritual biography of Ibn 'Arabi, and co-translator of two of his short works (Divine Sayings, 2004, and The Seven Days of the Heart, 2000). For the last 6 years I have been involved in creating a digital archive of Ibn 'Arabi's manuscripts and am now editing several of his shorter works." "Once a year I run a tour to Andalusia or Anatolia for people to travel "in the footsteps" of Ibn 'Arabi, visiting the places he lived and wrote about." March 1st Saturday evening – Sacred Geometry: The Divine Proportion & Nature’s Elegant Principles of Design with author Scott Olsen, Ph.D.
To those who know how to approach her, Nature will lift her veil revealing a stunning system of elegant aesthetic delights. In this presentation we shall be introduced to how the Golden Section, the Divine Proportion, is the root source of Nature’s Eurythmic Principles of Design. Scott Olsen, Ph.D., Florida Professor of Philosophy and lifelong student of the Ancient Wisdom Traditions will reveal the fruits of his journey into ancient cultures, including Pythagorean, Platonic, and Hindu Aesthetics; conversations and studies with physicist David Bohm, astronaut Edgar Mitchell, sacred geometers Keith Critchlow and John Michell, comparative religion guru Huston Smith, and esotericist Dr. Douglas Baker; transpersonal experiences in the rainforest of Peru, atop the Great Pyramid of Giza, and with shamans in the Andes mountains; studies done at Chartres, Glastonbury, Florence, Cape Town, Oslo, Salzburg, Manaus, Machu Pichu, London, Stonehenge, Averbury, Luxor, Athens, Delphi, Epidaurus and Prague; and ultimately resulting in the writing of his Golden Section: Nature’s Greatest Secret. Winner of 1st place for design at the 2007 New York Book Show, Olsen’s book has received rave reviews on Amazon and in the academic world, including such respected journals as Chaos, Solitons and Fractals, and Nexus Journal of Architecture and Mathematics. A past president of the Florida Philosophical Association, Professor Olsen first gained international notoriety when he solved the mystery of Plato’s geometric code in 2002. This talk will focus on a colorful and revealing visual and informative display of his quest to discover Nature’s Greatest Secret. His award-winning book, The Golden Section: Nature’s Greatest Secret (1st place for design, 2007 NY Book Show), is available at Amazon. Learn how to make Chinese Medicinal Wines, Tonic herbal remedies and The Elixirs of Longevity. Take home your own herbal tonics made especially for your body type and condition. Discover Internal Alchemy and Medicine based on the Taoist way of taking responsibility for your own health and wellbeing. The special class of herbs, known as the Elixir Tonics, are easy to use. Tens of millions of people in China use them regularly to maintain or build their health. A large and rapidly growing number of Westerners have discovered these incredible herbs and are now using them with great benefit. To apply the system, one need know only a few herbs, understand the basic principles and use common sense. Different herbs suit different people and are used at different times and under different circumstances. You will learn the seven major types of tonic herbal remedies and receive a 50 page handbook. Nam Singh, L.Ac., O.M.D., N.C. is a practitioner of all eight limbs of Chinese Medicine: Meditation, Exercise, Diet, Herbology, Astrology, Feng Shui, Massage, Acupuncture and Moxabustion. He is a graduate of the Tai Pei Institute of Traditional Pharmacology and Acupuncture, a graduate of Wei Chuan’s Culinary Institute Tai Pei, R.O.C. Taiwan, as well as a chef specializing in Chinese medicinal cuisine. Mr. Singh, formerly of China Moon and Monsoon Restaurants, has worked extensively throughout the Bay Area restaurant scene. He presently resides in San Francisco. Chef Singh has collaborated on two well-received books, Between Heaven and Earth—A Guide to Chinese Medicine and The Chinese Immigrant Cooking. He is on the faculty of The Academy Healing Nutrition. View our new page of film clips from last year's retreat. What do the Holy Grail, Mary Magdalene, The Da Vinci Code, The Cathars and Templars, Rennes-le-Chateau, The Golden Ratio, Alchemy, Pharaohs, Freemasons, Ancient Scrolls, and scientific and modern physics all have in common?? The only way to find out is to come to this special part of France and explore the significant sites and study with one of the leading experts in Ancient Mysteries, Dan Winter. Or you might just wish to come for the French food and countryside! We all will be staying at Domaine de Fraisse, a gorgeous French countryside boutique hotel. Surrounded by pristine nature, and healthy, hearty French meals prepared by our hosts. Some days our seminars with Dan are held here, other times we will be exploring the sacred sites nearby. Transport provided. Carcasonne Airport has cheap flights direct from London with Ryan Air. We invite you to unveil the mysteries of the South of France. Follow the Celtic Trail of the Holy Grail. Become acquainted with sacred Cathar sites and Sacred Geometry, all while staying in a villa in the South of France. Participate in a three-day seminar with Dan Winter, Sacred Geometry genius, followed by a three-day tour tracing the mysteries of the holy grail, unraveling The DaVinci Code sites, and discovering the who, when, what and where of the Cathars. Join us for an exciting exploration of the cutting edge of “cosmic physics”. A full explanation about the retreat along with accommodation, how to get there, tuition and accommodation packages, sites, testimonials and more is on the website. 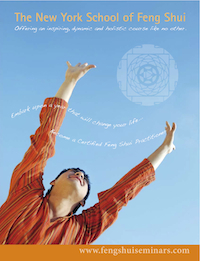 We send you updates on feng shui and sacred geometry practitioner training, conferences and tours, including our Academy Healing Nutrition newsletters.